Creativity isn't always comfortable. Every time we challenge ourselves we risk failure. Every time we open our mouths or step onstage we share something of ourselves and risk judgement. We believe taking this risk is what makes life interesting. We all fail sometime so we might as well have fun with it. The Shuffle Dance Challenge (SDC) is a music and dance event in New York City and Los Angeles. At face value it's a night of improvised performances that is designed to challenge performers, pushing them to the limits of creativity. At a deeper level it's an opportunity for dancers, and their audience, to share the process of creation. If 'Whose Line is it Anyway' and 'So You Think You Can Dance' fell in love and had a child they might name it Shuffle Dance Challenge. We take a musical prompt and mix it with a game to challenge the performers. Play a song in the style of _______ that tells the story of a _______ transforming into a _______. 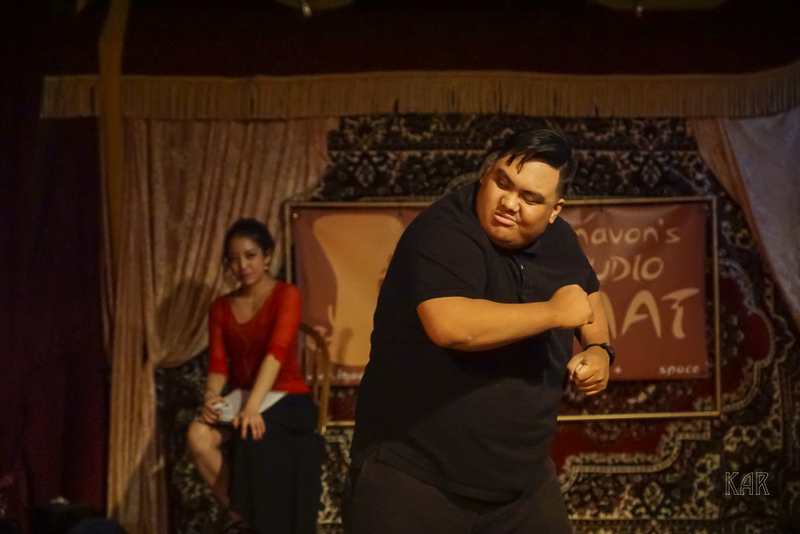 All music and dance is improvised based on prompts (games) from the audience. The music crossed genres and the dancers push themselves beyond the limits of their disciplines. It's funny, it's touching, it's therapy and the most fun you can have in public. The Shuffle Dance Challenge was started by Brad MacDonald as part of the Djam NYC series of weekly events. Now we have have events in NYC and LA and a growing roster of Challengers who are the cats pajamas, the peanut butter and chocolate and the savory meat pies of our dance communities. We don't promise our event will change your life but we guarantee you'll laugh, gag and spit more than any other dance show you'll ever see. Ever. That's our promise. You'll share our discomfort as dancers risk their limbs and reputations in pursuit of pure, unfiltered creativity. You'll feel their pain, joy and relief. You're more than an audience. You are the reason we perform. Join us at one of our events and become part of our family. We're always looking for new performers. Are you a dancer interested in taking the Challenge? A musician? We're looking for talented people from across disciplines who are willing to stretch and explore. Drop us an email! "Dance therapy for the creatively constipated."